For potential home owners, that wonderful little house to start a family may look like a dream come true. The unfortunate truth is that sometimes appearances can be deceiving. However, a simple home inspection can tell you if it truly is the dream that it appears to be or has the potential for a nightmare. 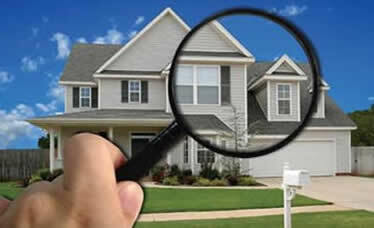 In getting your home inspection, here are a few things to look out for. First and foremost is the foundation of the home. A crumbling and cracking foundation in need of repair can become an enormous financial problem. However, the most disastrous of issues is when a foundation needs to be replaced in it’s entirety. The price for such an undertaking can become astronomical. If a house is showing signs of a bad foundation, look elsewhere for that dream home. Another thing to consider is pests and other living creatures. Termites can virtually destroy the inner frame and guts of a house. To clear an infestation can be expensive. But this may be nothing next to the repairs that will need to take place if the infestation has been allowed to go on too long. The cost can be devastating. A common problem of older and classic houses is outdated wiring. Today’s technological devices require a steady flow of power to operate properly. With outdated wiring you may find yourself with the annoyance of flipping a circuit breaker almost as often as you sit down. However, outdated wiring can lead to worse consequences if a fire were to break out. And, just like the others, replacing wiring can be an expensive undertaking. These are just a few of the issues that can arise within a home. By getting a home inspection before buying, you can keep the previous owner’s problems from becoming yours. This entry was posted in Real Estate and tagged home inspection, real estate. Bookmark the permalink. ← Is Putin the unlikely hero of the Syrian chemical weapons deal?